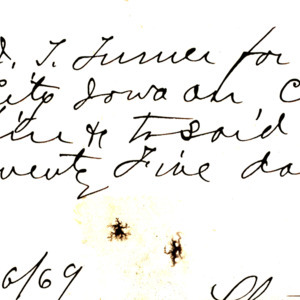 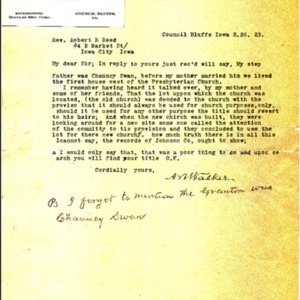 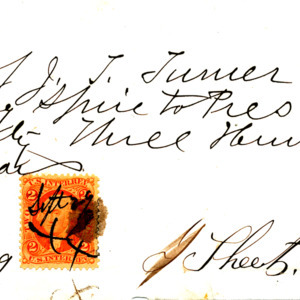 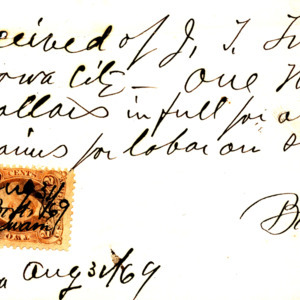 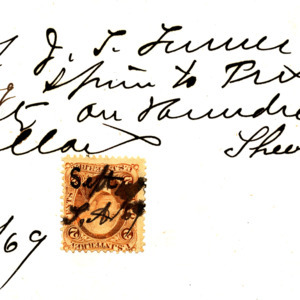 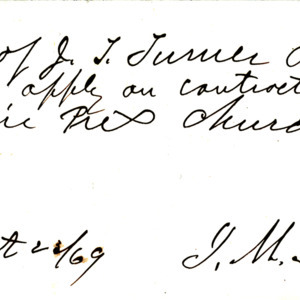 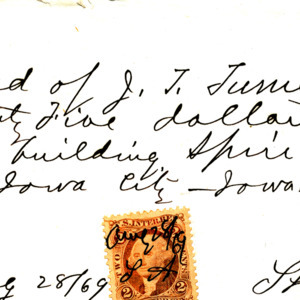 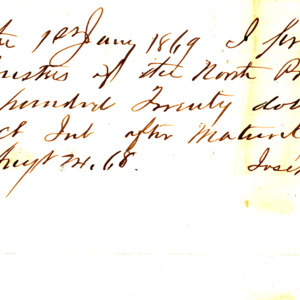 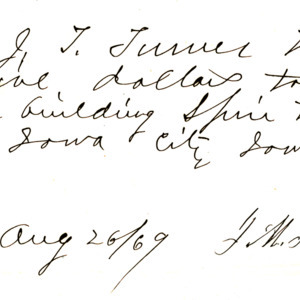 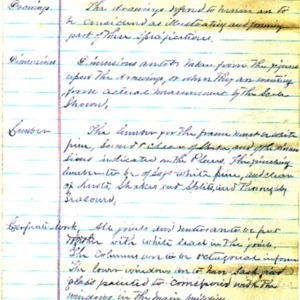 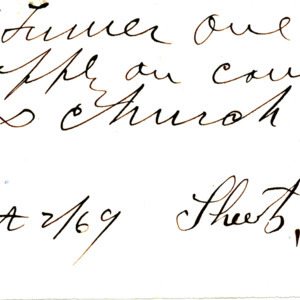 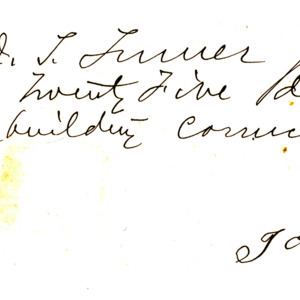 “Received Iowa City, February 13, 1865 of H. Murray, one hundred dollars being balance of payment for building church cornice [Finkbine Lovelace?]" 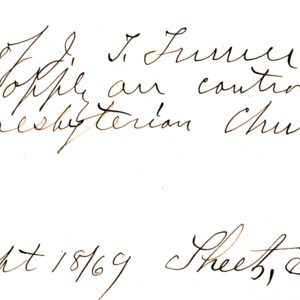 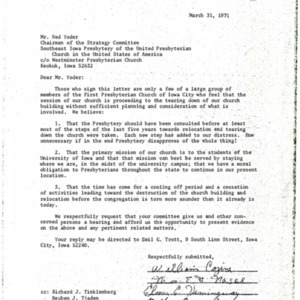 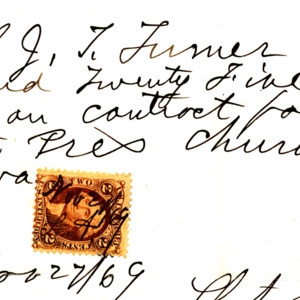 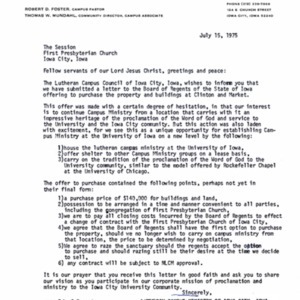 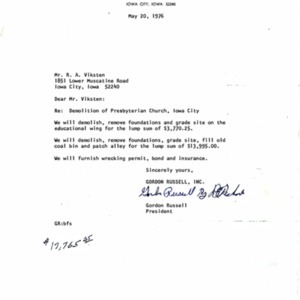 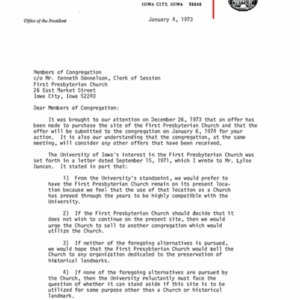 Receipt for funds received for building First Presbyterian Church spire on contract. 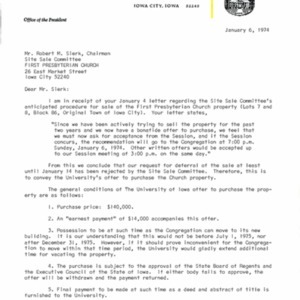 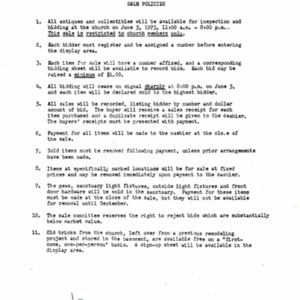 Receipt to apply on contract for building spire at First Presbyterian Church. 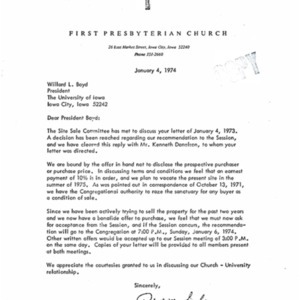 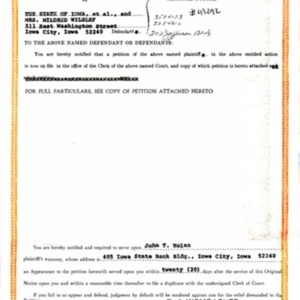 Receipt to apply on contract for building First Presbyterian Church spire. 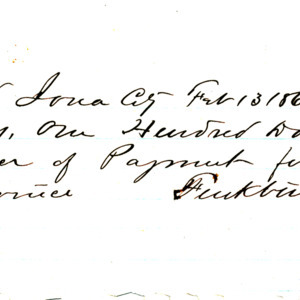 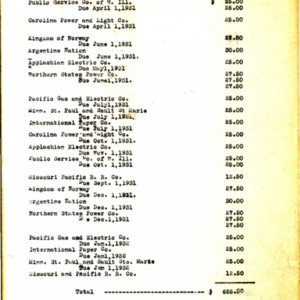 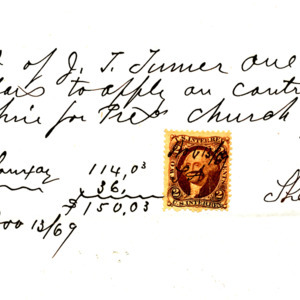 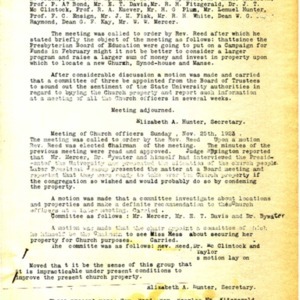 Receipt for payment for extra brick work and labor for building First Presbyterian Church. 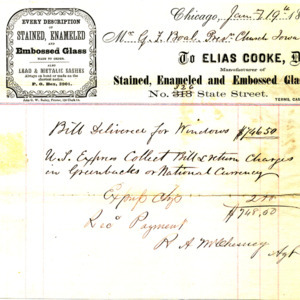 Receipt for contract on building spire for First Presbyterian Church.. 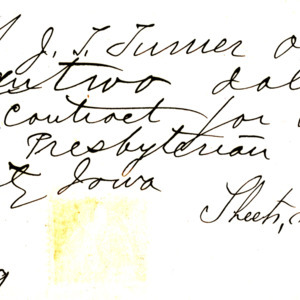 Receipt for payment on contract for building spire at First Presbyterian Church. 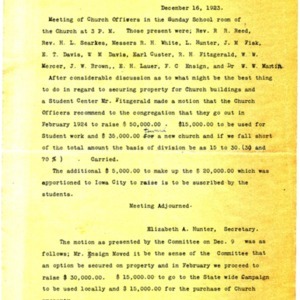 Receipt for building spire at First Presbyterian Church. 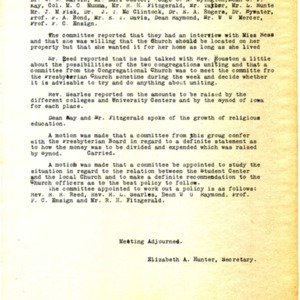 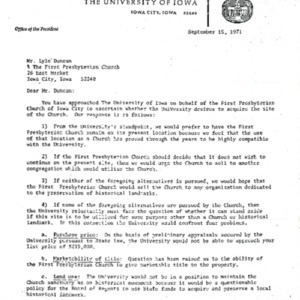 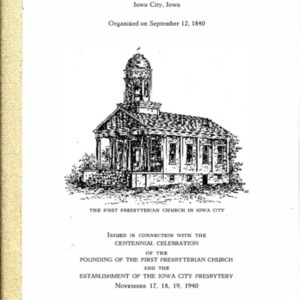 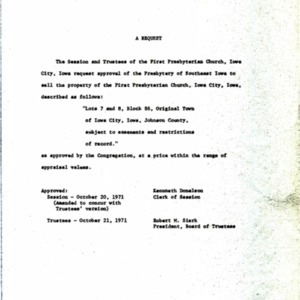 A pamphlet created for the centennial celebration of the First Presbyterian Church of Iowa City. 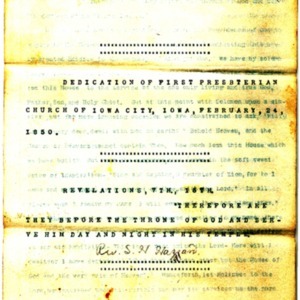 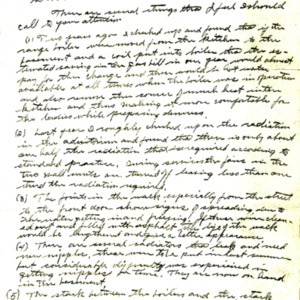 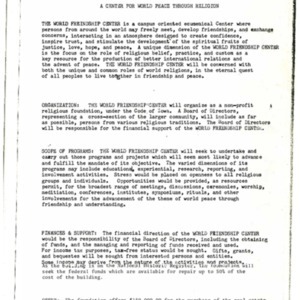 Pamphlet describes the founding and history of the church.